A reliable source for Copper Brass Bronze information and a resource for accessing leading Copper Brass Bronze and suppliers. Copper is a reddish-orange metal that is plentiful in nature. Copper ore can be found in many different ore minerals, among them chalcopyrite mineral, chalcocite mineral, covellite mineral, bornite mineral, azurite mineral, dioptase mineral, tennantite mineral, chrysocolla mineral, and digenite mineral. About half of the copper ore used currently comes from chalcopyrite ore. On the periodic table, copper is found in Group 11, where it has the atomic number 29. Its periodic table chemical symbol is Cu. Copper Brass Bronze Copper is a reddish-orange metal that is plentiful in nature. Copper ore can be found in many different ore minerals, among them chalcopyrite mineral, chalcocite mineral, covellite mineral, bornite mineral, azurite mineral, dioptase mineral, tennantite mineral, chrysocolla mineral, and digenite mineral. Metal Associates is proficient in ferrous and nonferrous metals and manufactures quality copper in a multitude of shapes, sizes and tempers. Where possible, Metal Associates requires no minimum order requirements and no order quantity is too small. As a top distributor of copper parts and products, Commercial Metal Exchange has hard to find grades, sizes and tempers for all applications. We are committed to our customers. 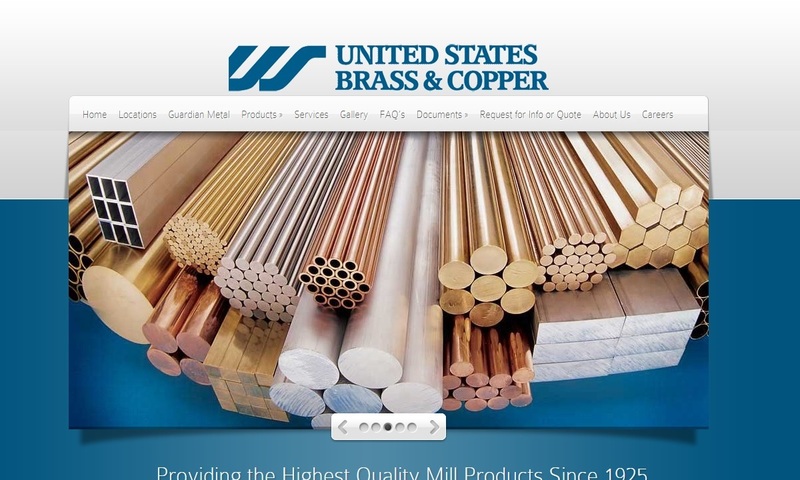 Our engineers manufacture copper products that exceed regulatory standards. Our products are the best quality and adhere to a multitude of rigorous physical testing to ensure the reliability of our copper. 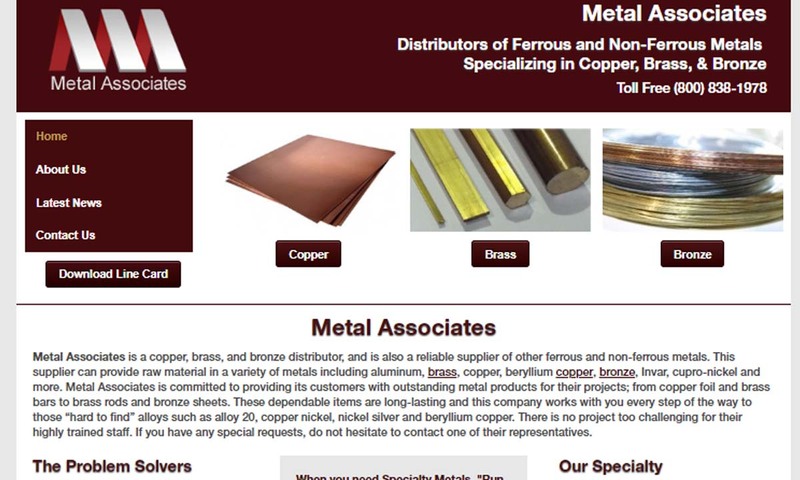 Metalmen is a fully certified, go-to source for nationwide & global distribution of specialty copper. 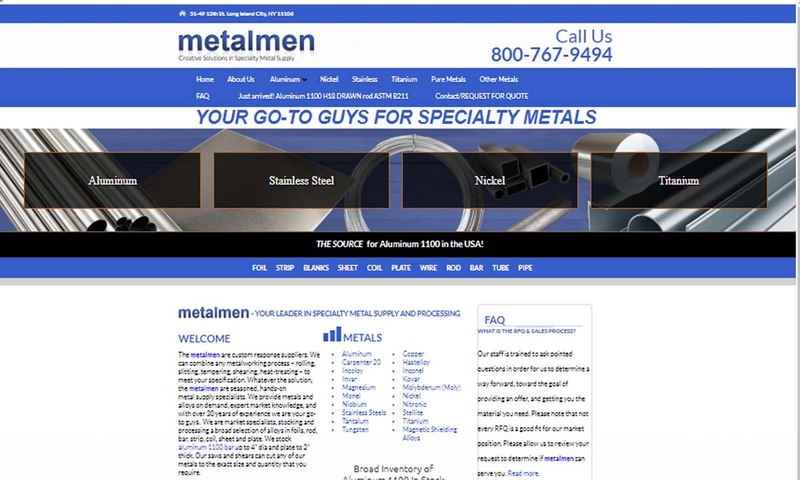 With over 30 years as a metal supply problem solver, let the metal men & women at Metalmen be your custom response supplier of all related services. Manufacturing the highest quality copper strip is a standard with our engineers. We test for micro structures, tensile, yield strength, U.T. testing eddy current conductivity and more. Copper’s characteristics, along with easy access for manufacturers, have made it very popular in both industrial and commercial industries. Such industries include electronics, marine manufacturing, wiring, building construction, automotive, architecture, power generation, lighting, telecommunications, food processing, and power generation. Some of the main applications of copper and copper alloys include the conduction of heat, the conduction of electricity, fluid conveying, the repelling of microbes, power transmission, and architectural design. In addition, they make up components of vehicles and other transportation, and they support refrigeration and air conditioning systems. Copper is believed to be the third metal known to man, after iron ore and gold. Copper was so significant to human history that historians have named the period in between the Neolithic Period and the Bronze Age the Copper Age. Archaeologists have found ancient copper artifacts all over the world, from northern Iraq (a pendant from circa 9000 BC) to present day Michigan (Native American decorative objects, weapons, and tools from between 6000 BC and 3000 BC). Early Cu working processes included (in order of appearance): coldworking, annealing, smelting, and lost-wax casting. After they discovered copper, humans discovered the important copper alloy, bronze. Archaeologists believe that people first started using natural bronze, a copper ore, in the Balkans around 5500 BC. About 2000 years after that, they started alloying copper to create bronze themselves. People did not discover brass, a copper and zinc alloy, until much later, during the time of the Greeks. Later, brass was a favorite metal of the Romans. Many societies of antiquity made use of copper and copper alloys to make items like coins, weapons, jewelry, sculptures, and architecture details. Such societies included those living in present-day Iran, Turkey, Israel, Egypt, India, Greece, and Rome. Perhaps the most prolific copper metalworkers of all were the Egyptians. From copper metal and copper alloys, they made all sorts of things, including chisels, razors, knives, saws, dishes, pots and pans, water containers, mirrors, and hoes. In addition, they used powdered copper to make makeup. Though they eventually discovered iron, sparking the Iron Age, followed by the Roman period, the Early Medieval period, the Viking period, etc., over the centuries, people continued to be interested in copper. By the 10th century, people began mining copper ore. One of the first known copper mines in the world was Falun Mine, which was in operation up until 1992. No one knows for sure when the mine opened, but historians believe it was around 1000 AD. We know for sure that the mine, located in Sweden, was in operation by at least 1080 AD. It started as a place from which farmers could mine ore, smelt it, and make it into household goods, but within 200 years, merchants and noblemen took over operation. Within another 100 years of that, King Magnus IV of Sweden created a charter that ensured the mine and the revenue it created were in the control of the state. This proved quite lucrative, because up through the 1600s, the copper produced in Falun Mine accounted for two-thirds of all of the copper used in Europe. Most of said copper was used at the time to create sculptures and forge weapons. During the 1700s, European shipbuilders began reinforcing underwater sections of ships with copper plating and copper sheathing. In 1830, Gottfried Osann, a German scientist, discovered how to make new copper materials and copper compounds from powdered copper. He discovered this process, called copper metallurgy (general: powder metallurgy), quite by accident while attempting to find out the atomic mass of copper. The next big thing for copper was electroplating. While the process was invented in 1805, the first electroplating plant didn’t open until 1876. Located in Hamburg, Germany, this plant, opened by a company called Norddeutsche Affinerie, used copper from not only Europe, but also North America, South America and, sometimes, Australia. At the time, importing from North America made sense, because from the late 1800s all the way to the 1990s, the United States produced huge amounts of copper. Currently, this is not the case, as most American copper mines have closed due to environmental concerns. Despite its popularity, copper working was not terribly efficient throughout most of its history. This changed in 1949, when a group of Finnish companies, known collectively as Outokumpu, developed a metal extraction process called flash smelting. Flash smelting, which works by creating chemical reactions, is much more energy efficient than earlier smelting methods. Native copper is so natural that it is essential to human health. It helps the body form red blood cells, supports the health of a number of body systems (circulatory, skeletal, nervous), helps absorb iron, and boosts immune function. Iron and copper in the body are related; if iron is deficient, it’s likely that copper is too. If and when the body gets too much copper, though, it can respond with diarrhea, nausea, vomiting and stomach cramps. Children under one cannot regulate copper levels in the body, so they are especially vulnerable. So, in 1991, after realizing that it is easy for copper to get into our drinking water via pipes, the EPA created national limits on the concentration of copper coming out of consumer water taps. In order for the water to be deemed safe, it must have copper concentrations within this limit, which is called the “action level.” Water suppliers conduct these tests. Today, as technology advances, the uses of copper and copper compounds only continue to expand. This is particularly true within the world of telecommunications and electronics, where copper thrives because of its superconductivity, affordability, and non-sparking nature. For example, the twisted copper wire pairs that have long been used to power telephone lines are now being used to connect computers as well, because they are less expensive than fiber optics. Aluminum, a copper alloy, is also beginning to replace copper as the conductive material of computer chips because of its superior electrical conductivity. The first step in copper manufacturing is the fabrication of copper preforms, which are blanks and billets that will be further fabricated into products and parts. Copper preform fabrication starts when powder plants create copper flake and powder, which can be used to make powdered metal parts. For use with electrical applications, copper mills make cold drawn wire and rods. After preforms are made, casting procedures take place at foundries, where numerous products can be created by injecting or pouring raw materials like molten ingots and scrap copper into 3D molds. Copper ingots become molten at 1981℉. Brass mills incorporate copper alloys into many products because copper alone is too soft for many applications. Processes that brass mills use to fabricate brass and copper alloy products, include forging, extrusion, rolling, and drawing, after which they often undergo secondary operations. Secondary operation possibilities include welding, engraving, brazing (a method of uniting metal tube or pipe with the use of a nonferrous filler material), bending, polishing, annealing (a heat treating method designed to remove internal stresses and strengthen metal), and applying protective coatings. Copper manufacturers have made, to date, over 400 copper alloys, which can be divided into major groups: copper, high copper alloys, brasses (copper and zinc alloys), bronzes (copper and tin alloys), copper nickels (cupronickels), nickel silver, lead copper. and special copper alloys. The most common copper alloys include brass (Cu3Zn2), bronze (CuSn), copper-nickel (CuNi), copper-silver (AgCu or CuAg), and beryllium copper (BeCu or CuBe). Different alloys have different amounts of copper in them. Those that only have a small amount of copper in them are called copper-bearing alloys. Examples of these include BeCu and copper steels. Brass and bronze, on the other hand, have high copper contents. Bronze is an incredibly versatile alloy. When combined with lead, it is one of the most commonly used materials for bearings, because it has a lubricated, low friction surface. 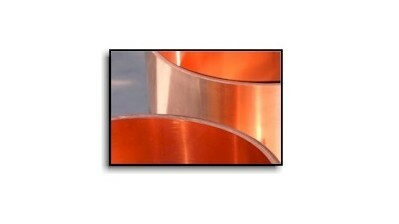 Basic copper and copper alloy shape products include copper strip and sheet copper (flat, flexible rolls of adaptable copper useful in applications like roofing), copper foil, copper braid, copper tubes (hollow aluminum products that are useful in HVAC, plumbing, and other applications where corrosion-resistant and high heat transfer levels are a must), brass plates (thin, solid square or rectangular pieces of brass), and copper coil (electrically and thermally conductive spiral-shaped copper wire or tube). Common products created from such fabricated shapes include microchips, piping systems, copper cookware, propellers, hardware, tools (pliers, screwdrivers, wrenches, hammers, chisels, spanners, etc. ), lighting fixtures, door handles and fasteners, small springs, roofing, coins, electrical connectors, wires, adaptors, and valves. Copper, brass, bronze, and other copper alloys offer many benefits to their manufacturers and users alike. First, copper and copper alloys are non-sparking, which means that, in the face of friction, they will not cause sparks or fire. Second, copper parts are safe for use in hazardous environments that treat with combustible vapors and gases and flammable dust, like oil rigs. Also, in cooking, copper has a great benefit over its competitor stainless steel–it offers better heat control. Copper and copper alloys like brass and bronze are not only well-liked for their chemical properties and conductivity capabilities; they are also valued for their clean, attractive color and finish. This is especially true in architectural indoor and outdoor design applications. Manufacturers can even add to this by performing various surface treatments to make copper look antique or aged. Another great advantage of copper is the fact that it is recyclable. Likewise, it is one of Earth’s few natural resources that has not been excessively mined. Because of this, and because the amount of copper recycled every year almost equals the amount that is mined, copper remains in abundance. In addition to being a sustainable choice, copper is long-lasting and requires little maintenance. If you are seeking copper products, you need to partner with a copper supplier that is knowledgeable about both high-quality fabrication, but also high-quality copper extraction. You do not want to work with a supplier that will sell you impure copper products. 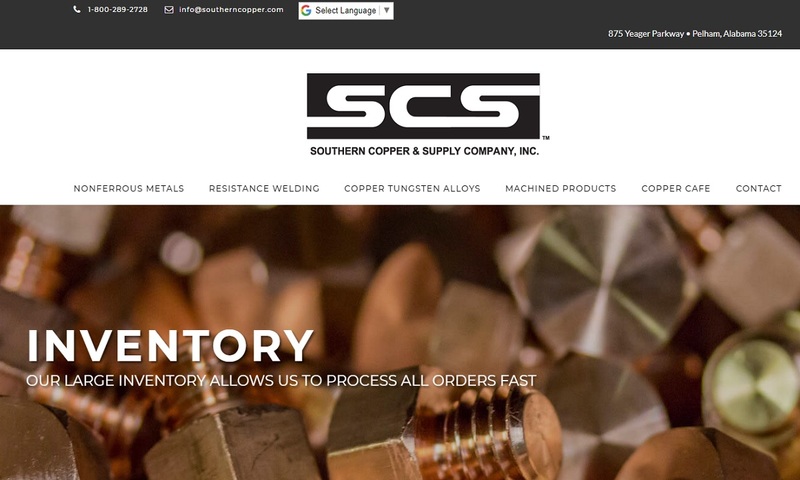 To make sure that you start off on the right foot, we’ve listed several copper alloy manufacturers that we trust. You’ll find their profiles sandwiched in between this information. Check them out to find one with the right services for you. Today, copper is readily available from sources all over the world, particularly Chile, Peru, and China. Coming in as the fourth highest copper producer is the United States. Nevertheless, American companies import a large portion of their raw copper materials, besides copper powder. In 2016, in preparation for what they believed would be a focus on infrastructure in the new federal administration, many companies stockpiled large amounts of copper. As of yet, that boom of building has not begun, so suppliers around the United States have an excess of copper. For this reason, copper prices are fairly low at the moment. At the same time, the specter of tariffs hangs in the air, threatening to complicate overseas copper purchases. Right now, then, is a great time to go for American copper products, as they are currently quite affordable.  It’s also important to note that with American companies, communication will be quicker, your products will arrive sooner, and you can trust that the company is up to speed on all American standard requirements.